Fakhar Zaman's career-best 46-ball 91 backed up by useful contributions from Shoaib Malik and Sarfraz Ahmed helped Pakistan score an emphatic six-wicket win in the final of the T20I tri-series. Ahmed, the captain, was happy with the team effort, which helped Pakistan hold on to their No.1 ranking. “If you are the No.1 side you have to stand up. It not easy to play six matches in eight days and I must credit the boys for the way they played," he said. Australia scored a formidable 183/8 in their 20 overs, riding on D'Arcy Short and Aaron Finch's opening stand of 95. 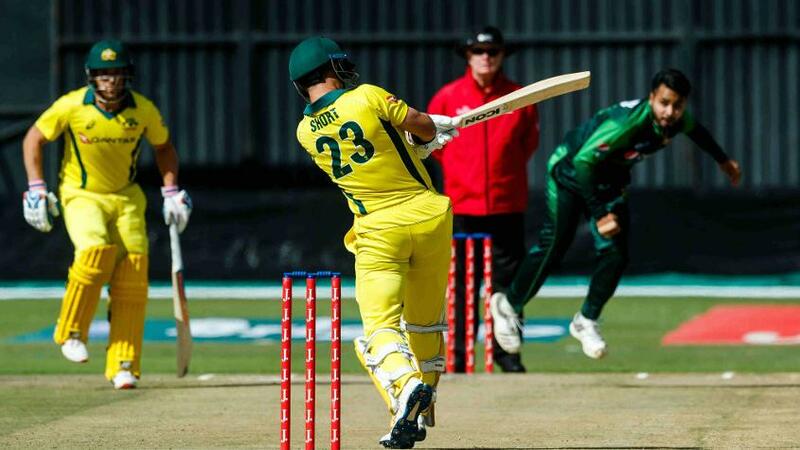 Glenn Maxwell then got the defence off to a perfect start, getting rid of debutant Sahibzada Farhan stumped off a wide second ball of the innings and three balls later had Talat Hussain caught at backward point. However, it all went downhill for Australia thereon. Zaman and Ahmed waged a solid counter-attack, before Malik joined Zaman for a stupendous 107-run stand in just 64 balls to take Pakistan to the doorstep of a win. Ahmed was thrilled by the way his side applied themselves. "A great team effort," he said. "Credit to the bowlers, they finished the innings well. "Malik and Zaman then did the job for us with the bat. Our fielding was not very good, we dropped some catches but we took the momentum in the second innings. If we talk about 180 chasing in the final match is not easy. Zaman played very well all through the innings." "I like these pitches," said an ecstatic Zaman who was named Player of the Match and the Series after finishing with 278 runs in five outings. "From the first game, I was in form. Finch admitted that with the start they got, Australia were a few runs short in the end. "I thought we should have got around 200," he said after the game. "We just kept losing wickets, which stalled the momentum.